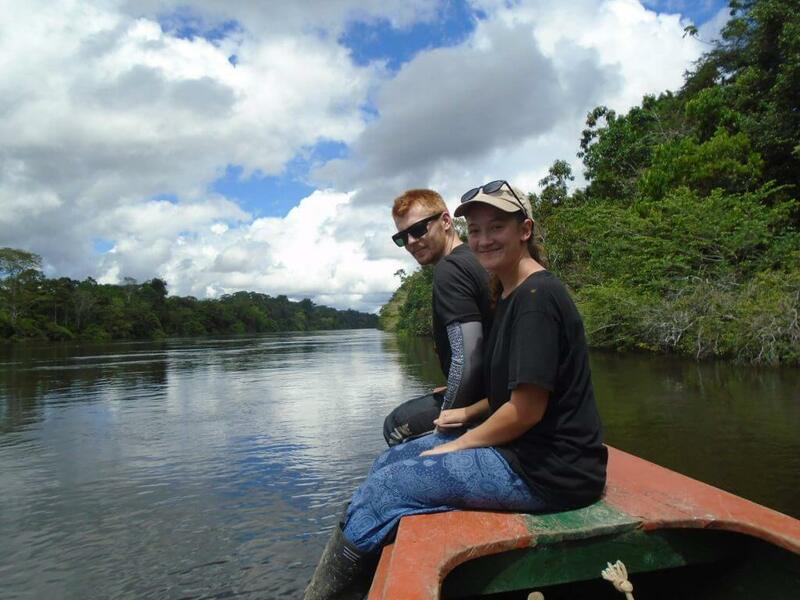 Closest city: Iquitos, located 180 km away. Closest towns: Nauta and Requena. Distance to capital: Lima is located a thousand kilometers away (1009 km to be precise). The Pacaya Samiria National Reserve is a huge protected area, situated in the Northeast of Peru. This forested area is distributed between the Loreto, Requena, High Amazon and Ucayali departments, and is circumscribed by two noteworthy streams: the Marañon and the Ucayali rivers. These two water streams are located in the Ucamara depression, giving the origin to the Amazon waterway. 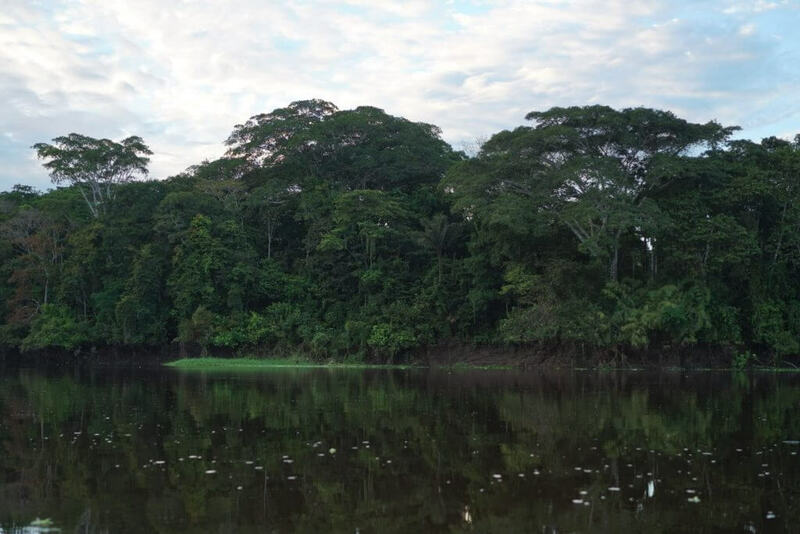 The Amazon river basin is the biggest rainforest on the planet and the Pacaya Samiria National Reserve is the biggest zone of protected flooded forest within the Amazon rainforest. The Pacaya Samiria reserve is one of the biggest protected territories in Peru and was established in 1982. For comparison, it’s about the size of Slovenia, and around half the size of Denmark, Sweden or the Netherlands. 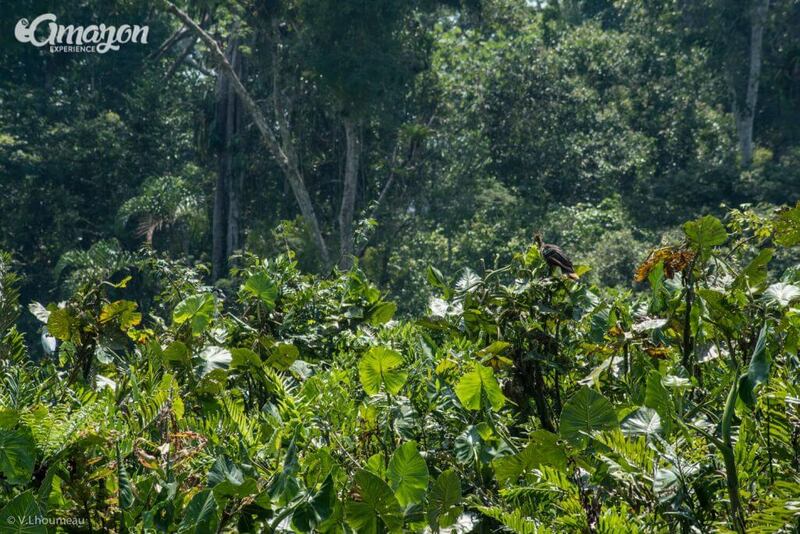 It protects various segments of the western Amazon basin covering more than 2 million hectares of land. Quite a bit of it stays unexplored. 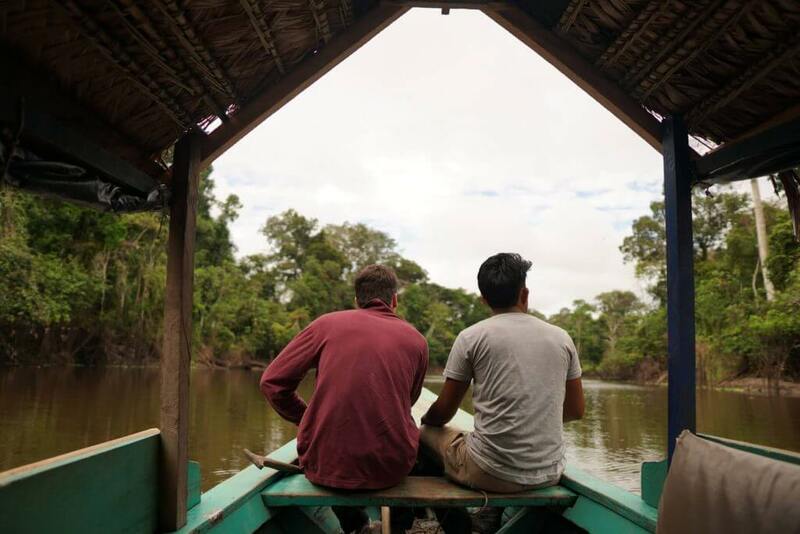 The name of the national reserve comes from two big rivers: The Pacaya river, a tributary of the Ucayali, that flows towards the left bank of the Puinahua channel. And the Samiria river, tributary of the Marañon, flows on the right side of this river. 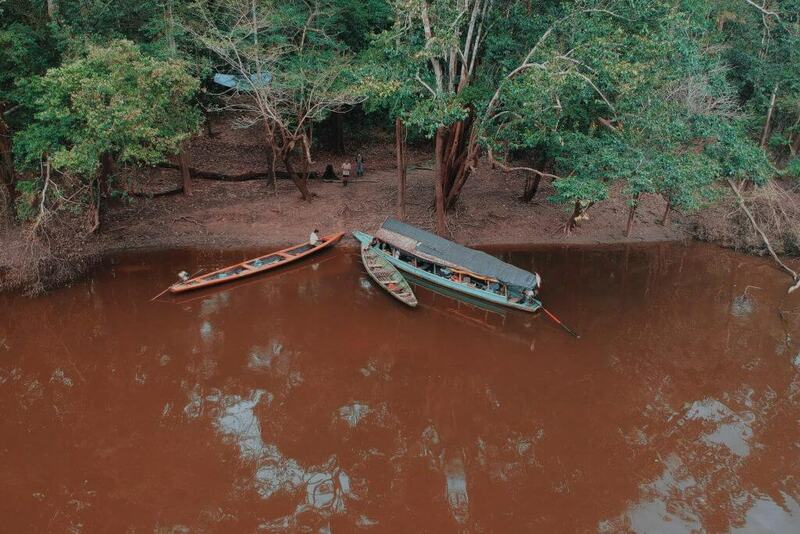 The waterways in the reserve are for the most part blackened by the high concentration of nutrients, giving it its famous name of “The jungle of mirrors”. This offers life support to a large number of the trees and plants of the reserve providing a base to the Amazon wildlife ecosystem. One example of a magnificent creature that lives in these obscured water streams is a giant Amazon fish called the Arapaima gigas, locally known as “Paiche”, which weighs around 100 kg. and can grow more than six feet long (there are reports of it growing more than 3 meters long and weighing more than 250 kg). There is a preservation program set up in the reserve to shield these fish from over-harvesting. The Pacaya Samiria reserve is also home to a huge number of wildlife species, for example, manatees, pink dolphins, caimans, macaws, and anacondas, for naming a few. What about the Hoatzin? A prehistoric bird. We’ll get into a detailed list in a few more paragraphs so stay tuned! In the early 80’s, the Pacaya Samiria National Reserve was established by the Peruvian government to preserve the vast wilderness, stunning biodiversity and pristine landscapes within this Amazonian area. Pacaya Samiria National Reserve represents 1.5% of the nation’s land and 6% of Loreto’s department. The Pacaya Samiria National Reserve presently takes an incorporated administration, including indigenous people in management roles. This is a big change considering that before locals were excluded from the discussion. 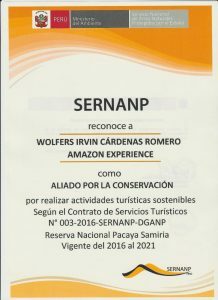 The Pacaya Samiria National Reserve is part of the National System of Natural Areas and is secured and managed by the Peruvian Government, by the organization called Servicio Nacional de Áreas Naturales Protegidas (SERNANP). 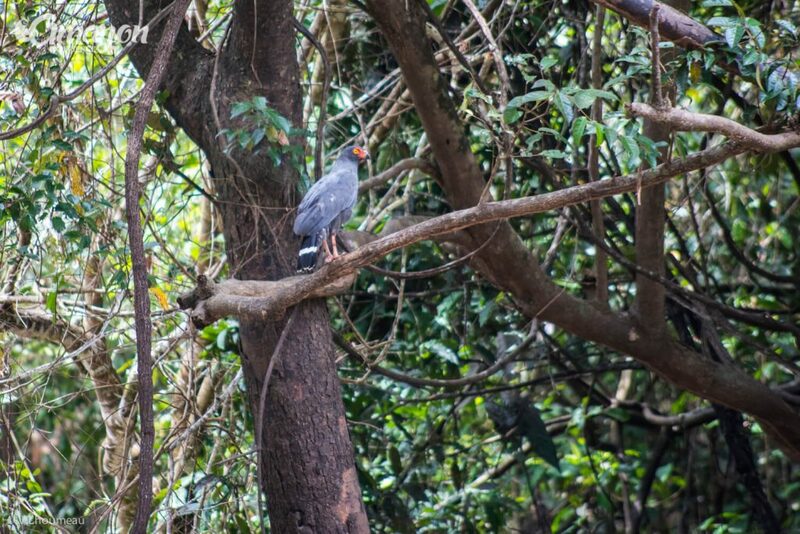 The main objective is to secure the biodiversity of the overflowed forest (known as varzea) in this region. As of late, the reserve’s objective has expanded to incorporate the promotion of sustainable development of indigenous people groups inside the national park. This coordinated management style of including local populations has had a colossal positive effect on the general preservation of species within the reserve, with a lessening in hunting pressure and an increase in wildlife populations. When local populations were offered regions to manage, a positive move occurred and many now see the reserve as a solid financial advantage to their region, making the Pacaya Samiria National Reserve an example of successful living community eco-tourism. Visitors must pay an entrance fee (included in our tour packages), and are just allowed access to pre-determined zones of the huge reserve. The idea behind this restricted access is to shield the natural landscape from negative anthropogenic effects. 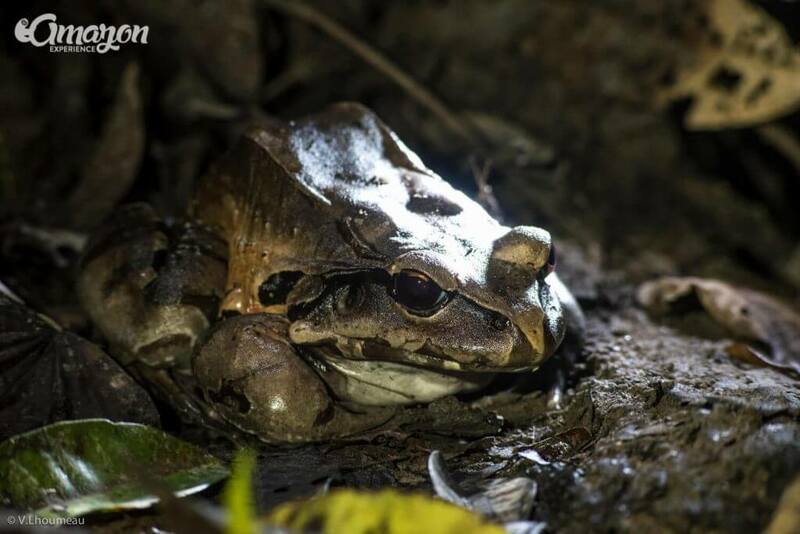 It is very important for the conservation of this delicate ecosystem that you, as a visitor, ensure that the tour company that will provide you the service of guiding you inside the Pacaya Samiria reserve has its permit up to date for entering inside the reserve. You can check all the tour companies that have this permit in this link. We are proud to be in that list as allies for the conservation of the reserve. To improve and extend education about the area. To interest the local population on the benefits of conservation and good management of fauna. To conserve low jungle representative ecosystems, including endangered jungle animals and plants. To encourage the study of the area’s flora and fauna. To encourage and promote the use of natural resources according to the principles of proper ecological development. The different habitat types found in the Peruvian Amazon came about because of extensive scale geologic events amid the tertiary and quaternary periods. The Samiria river basin sits in the Pevas lake bed, which formed during the Andes uplifting, leaving a topographical depression denoted by soft alluvial soils. This depression in western Amazonia permits the vegetated scene to change into the flooded forest that the region is known for. The Amazon rainforest, including districts of Peru, is in charge of 20% of the oxygen production for the whole planet. 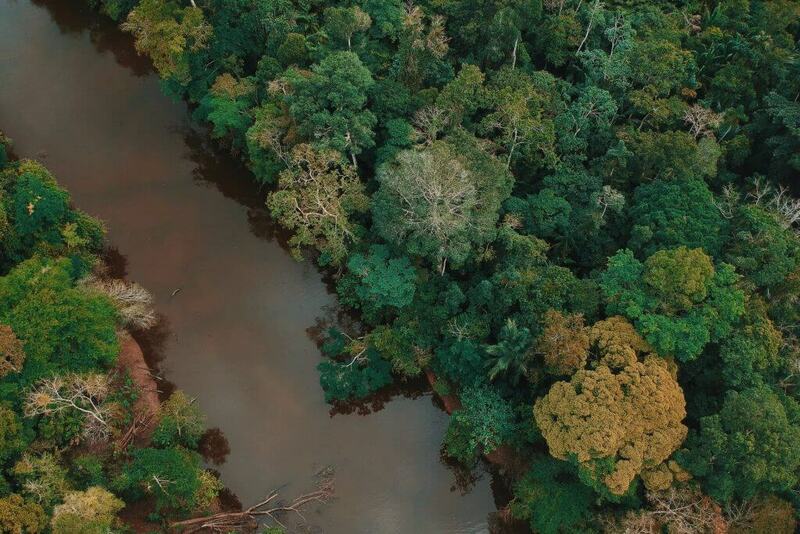 Every year around 30 million acres are deforested in the Amazon jungle (about the size of New York state), not only diminishing the oxygen production but liberating massive quantities of CO2 into our atmosphere. Peru’s tropical rainforest provide a humid warm environmental condition within the Amazonia region. The climatic conditions are very valuable to the development and life cycles of a wide assortment of plants and animals. The ancient tropical forests additionally provide a powerful structure for the development of different life forms involving a few layers of vegetation, from the forest floor on the ground to the tall canopy in the air. Plants and animals that live in the rainforest are to a great degree all around adjusted to their surroundings, occupying a particular specialty inside the ecosystems. This specific biome, or network of ecosystems, is believed to be the oldest on earth. The diversification of Amazon animals and plants are greatly intricate, unique and fascinating. Do you feel like exploring the Pacaya Samiria now? When you are thinking about animals that live in the Amazon rainforest, what comes to your mind? Surely you think of river dolphins, anacondas, piranhas, sloths, monkeys, frogs, and lizards right? Then it will impress you to know that the birds have the highest number of species found: Over 500 inside the Pacaya Samiria reserve. Quite a while back, a group of bird researchers recorded over 350 species… in only 24 hours! Researchers and scientists also have found over 100 warm-blooded creatures (mammals for example), 69 reptiles and 58 amphibian species. What about fishes? Over 260 species recognized. And care to guess the number of plant species inside the Pacaya Samiria reserve? More than 1800 types of plants! According to Cornell analysts, Peru has the highest density of bird species per area on the whole planet! Pretty cool eh? Tarantulas, being the Amazonian tarantula the biggest in the world! Boas and anacondas (Eunectes murinus), up to 9 meters long. Piranhas, but do not worry, most places within the reserve where we navigate are safe to swim. Blue morpho butterflies (Morpho menelaus), truly spectacular iridescent butterflies bigger than the size of a fist! Amazon river dolphins, including the pink dolphin (Inia geoffrensis) and the grey dolphin (Sotalia fluviatilis). There is a legend about a black dolphin but we have never seen it. Black Jaguars (Panthera Onca), locally called Otorongo, the third biggest in the cat family around the world. Aguaje (Mauritia flexuosa), a palm tree whose fruits are eaten by many animals and settlers of local communities. It is also used to make artisanal soap. The timber tree species in the Pacaya Samiria reserve like cedar and mahogany are very much appreciated in local and international markets. This is the reason why these are threatened occasionally by unscrupulous illegal loggers. 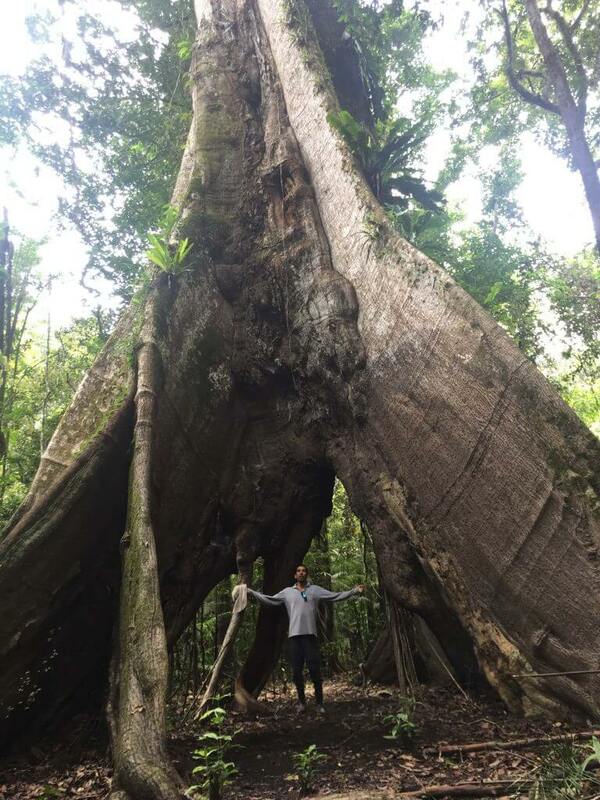 Now that’s what I call a giant tree! Pacaya Samiria’s climate is humid and tropical, with varying temperature ranging from 18°C to 35°C. Yep, that hot. You can check some average temperatures regarding different months here. The annual average rainfall is between 2000 and 3000 mm of water. This vast protected area is described by the cycle of two seasons, called crescent and reflux (low water season and high water season), correlating to the water levels inside the forested area. Crescent, from October until April. Also called “High water season”. Reflux, from May until September. Also called “Low water season”. So, you might be asking yourself now when to visit Pacaya Samiria? The best time to visit Pacaya Samiria depends on what you want to experience. From October until April the increased rains make the water levels of all waterways in the reserve (rivers, creeks and, lagoons) go up. This period is what gave the name “Jungle of mirrors” to the national reserve, where large areas of the rainforest are overflowed. This is the best time to explore the many creeks and lagoons in motorboats or canoeing. From May until September there isn’t so much rain as in the crescent period, and water streams recede accordingly. 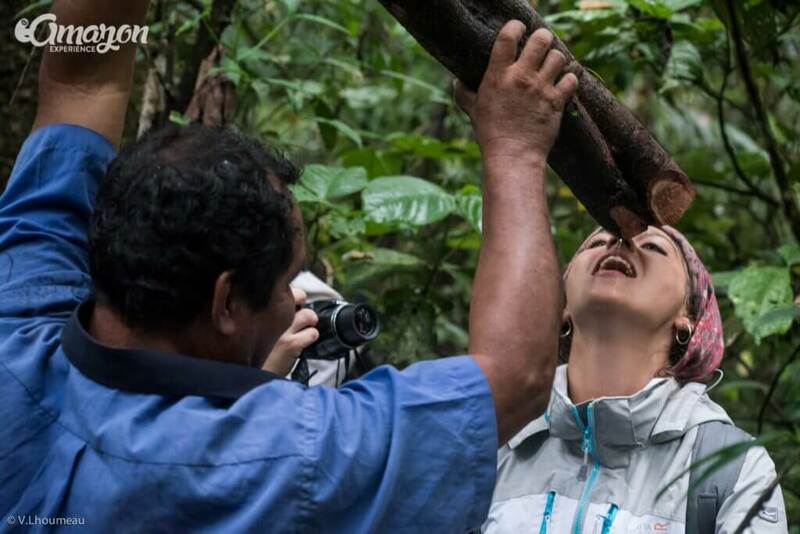 This period gives the chance to visitors to walk and trek more inside the virgin jungle. During this period you can also see some sandy shorelines on the riverside which are used by the settlers of the reserve to grow beans, rice, peanuts, among other crops. Also by two very characteristic species of the Pacaya Samiria reserve, the charapa (Podocnemis expansa) and taricaya (Podocnemis unifilis) aquatic turtles, use these beaches to lay their eggs. Wildlife adapts without problem to this cycle of crescent and reflux. When most of the rainforest remains flooded, animals find shelter in the highest areas, which remain dry because water streams never reach. 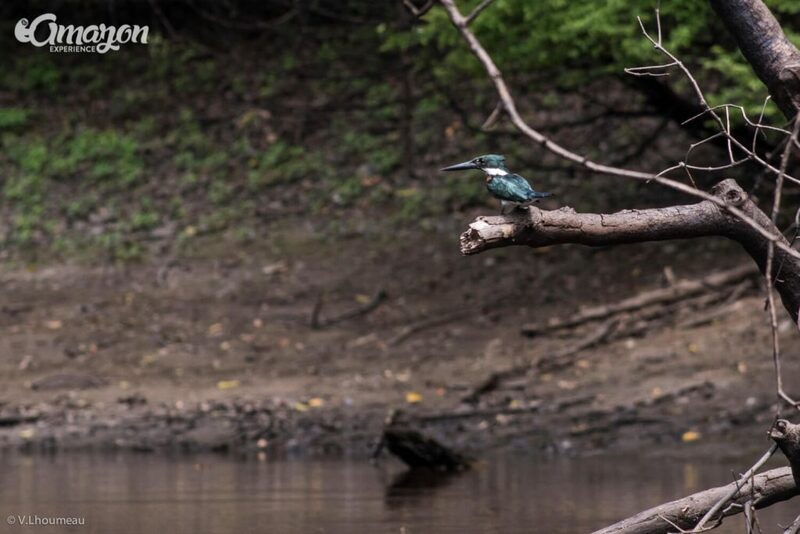 During the reflux, when water is retained in small lagoons and creeks, you can observe a large number of aquatic birds catching fishes concentrated there. If you travel with us you will still do both kinds of activities, trekking through the jungle and cruising it on motorboat and canoes. This seasonal division is to give you a reference for what to expect when you arrive there. So, are you ready to jump in? Pacaya Samiria’s beauty, as well as it’s biological wealth, makes the reserve a particularly important destination for scientific investigators, nature lovers and bird watchers. Departing from Iquitos by road it will take us around 1 hour and 45 minutes to arrive at Nauta town. From this town, founded in 1830, we will depart by private motorboat through the Marañon river, against the current. The trip will take us around 3 hours before arriving at Santo Domingo, one of the SERNANP checkpoints for entering the reserve. Here we register and show entrance tickets to the officer in charge (we get those in advance when you book with us). 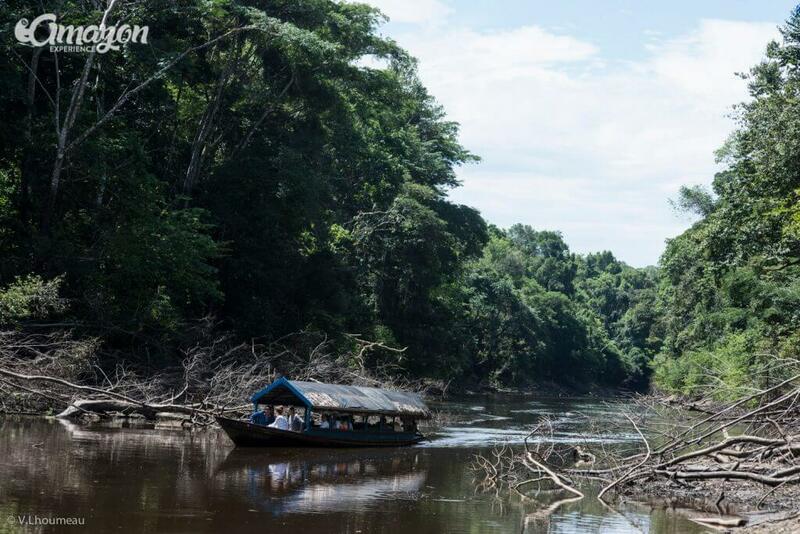 There are no jungle lodges inside the reserve because this is a protected area by the government of Peru. On the first night inside the Pacaya Samiria reserve, we sleep inside a typical village house in the community of Buenos Aires. Here we will sleep on individual beds with mosquito nets. The next days are all about camping with tents in the jungle, making this experience pure adventure. We offer Pacaya Samiria tours starting at 3 days and 2 nights because we consider that the minimum amount of days to get a feel of the beauty of this place considering the logistics involved in traveling there by land and river. 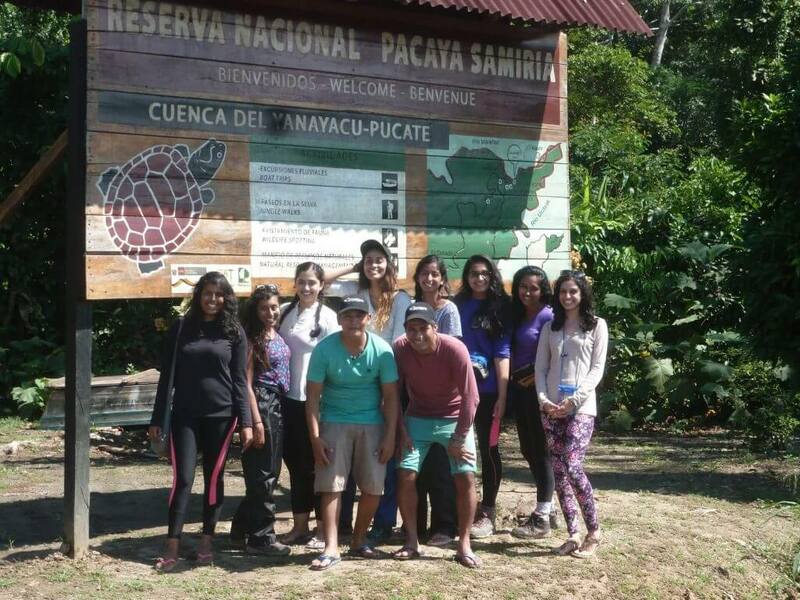 With us, you can go as much as 7 days and 6 nights, reaching deeper parts of Pacaya Samiria. We can also customize longer tours, up to 10 days, so you can arrive at “El Dorado” lake, considered the hearth of the reserve because of its spectacular and diverse wildlife. Arriving there is an adventure on its own, reserved for those willing to go deep into the jungle. If you are really adventurous we can plan a longer itinerary for you (we are going to have those longer itineraries posted soon as regular tours so stay tuned!). 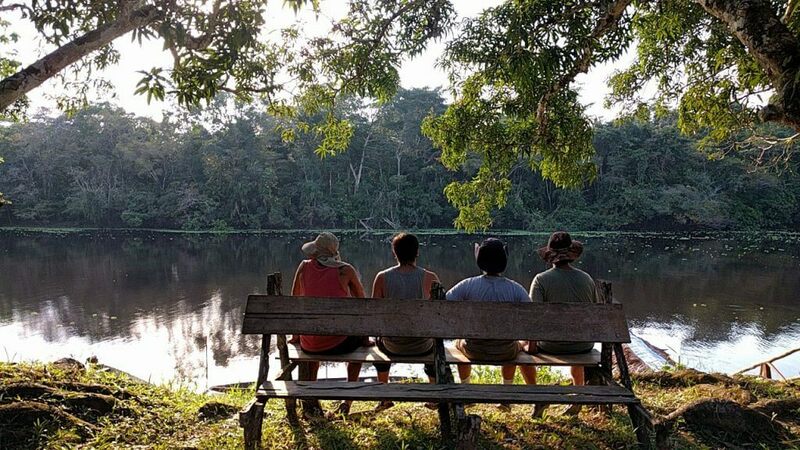 If you are interested in visiting the Pacaya Samiria reserve for a rainforest camping tour (and a truly unique experience) you can check our tours or contact us. Our tours don’t have fixed departures so we can accommodate to your schedule. We will be happy to answer your questions. All of the photos presented in this article are taken from us or our friends, that traveled with us inside the Pacaya Samiria reserve. Thanks to all of you who contributed with this. It would have never been possible without you. You know who you are. We are a local tourism agency based in Iquitos, Perú which aims to deliver outstanding and meaningful adventure experiences.